The following article was originally featured on the popular traditionalist blog Athanasius Contra Mundum, managed by Ryan Grant, under the title "The Church and Science: Smashing the Roman Illusion" and was published on January 17, 2010. The article explains how one of the most persistent misunderstandings about the Catholic Middle Ages is the idea that technology regressed during this time compared to the Roman period. Mr. Grant demonstrates that, in fact, the medievals gave us several technological innovations that were completely unknown to the Romans of antiquity. In fact, the Romans were held back by an anti-technological bias that kept them ignorant of many labor-saving advances that were subsequently discovered by the medievals. One of the biggest myths underpinning the alleged hostility of the Church to science is this myth that between the Roman Empire and the Renaissance (or the scientific revolution depending on who you're reading) everyone was ignorant and stupid and hopelessly backwards, yet somehow got out of the trap with Descartes' cogito. In reality of course, on some things we find that it was the Romans who were hopelessly backwards and opposed to progress. There are three main achievements of the Roman epic which made their empire great and solidified their place in history: (a) Their military versatility (b) Their architectural achievements such as the Pantheon or the Circus Maximus and (c) Their utility achievements such as aqueducts and roads. What is not treated is how these things were created by forced military service for free men, an army of slaves, or that most of these achievements served the egos of megalomaniac politicians and emperors. 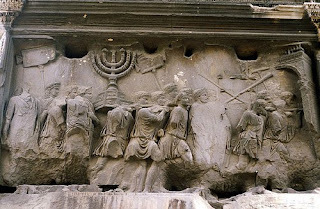 The latter had themselves worshiped as gods, Romans of the imperial period did not think military service was for them and contracted military service out to Germans (Foederati). Moreover, the life of Roman cities was made possible not merely by legions of soldiers on the frontier but by legions of slaves at home making their lavish lifestyle possible. Just one bath house required thousands of slaves to constantly keep the fires going and filter out the bad water. Due to abortion, contraception and infanticide birth rates were low in the Roman Empire. Like much of the world at that time, the first several daughters would be buried alive or left out in the wilderness to die or even strangled in some instances, because sons were more desirable. So while Greek and Roman philosophers could speak of natural virtues, they saw no problem with slaves living in a virtual hell of darkness lit by the fires made for the enjoyment of their betters above ground in the bath houses, or with leaving infants to die so they could have sons. They saw no problem with slaves under the whip on giant estates in Carthage, Egypt or France producing the food to feed decadent cities like Rome. Even Aristotle thought that foreigners ought to be enslaved so that Greeks could do philosophy and politics. Many of the staunchest proponents of abortion today would have difficulty leaving an infant to die in the wilderness. It was Christianity that changed all that. So while its true that heated baths were not to be seen again until the 12th century, and not on the Roman scale until the 19th their maintenance would not have been possible anyway because the Church outlawed slavery, and the technology didn't exist to establish continually warm baths without slaves. Yet post Roman Europe made many technological and scientific advances, almost right away. The myth that a dark age set in after the fall of Rome has finally began to crumble. Thus we take this in steps: What was the Fall of Rome? Did Christianity cause the fall of Rome? Did the fall of the Western Roman Empire cause the end of learning until the renaissance? Did the rediscovery of ancient texts really resurrect learning in the West? The first issue to explore is exactly what was the fall of Rome, and what were the Middle Ages? Chiefly due to historical ignorance by the majority of people, it is fashionable to say the Roman Empire "fell". Yet, it was only the Western Empire that fell, the Eastern Roman Empire continued until 1453. Moreover, our modern historical nomenclature reinforces this fallacy. We call the Eastern Empire "Byzantine" after the ancient name for Constantinople, yet the Byzantines called themselves ρωμαιόι (Rhomaioi-Romans), continued Roman law and institutions. The culture changed but that is natural, just look at the imperial period versus the early Republican period. Soldiers in the early and late empire look nothing like the legions of Augustus, which are created by Hollywood fallacy. So in that sense the Roman Empire as a whole did not fall. Yet we should consider the Western Empire, whose last emperor abdicated in 476AD. Did this constitute the fall and the begin of the so-called "middle ages" or alleged "dark ages"? Again no. This is because although Germanic tribes from the steps had overrun the Roman political institutions, the cultural life of the Western Empire changed very little. 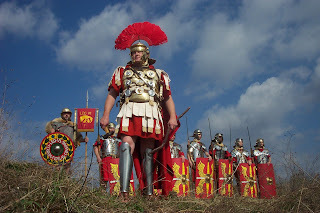 The Germans themselves took over Roman institutions and ceremony, the Roman army, though no longer paid by the state, continued to serve as a Roman army, settling and creating towns, and even countries such as what is now Switzerland. So a relative date of 500AD is agreed upon by most historians as the date of the beginning of the Middle Ages. But can we speak of a fall of the Roman Empire? I would argue no, rather that there was a transformation of the Roman Empire into medieval Christendom. It would be more correct to say that Roman government fell, Roman culture gave birth to a new civilization. Then there is the question of when the Middle Ages ended. At one time 1453, the fall of Constantinople was once the date taken for this event, however historians have rejected this since nothing changed anywhere else in Europe except for Hungary, which reaped the benefits of failing to help the ailing Constantinople, the Turks at their back door. Historians now routinely assign 1500 as the date the middle ages ended. I would however reject that also since it is too arbitrary. The date I would choose would be 1531, because that is the beginning of the end of the political and religious unity that characterized Christendom. Now with that in mind, that the middle ages is a date approximately 500-1531, or just over a thousand years, we need to see two things in order to understand the Roman Empire correctly, and appreciate that it is the Catholic Church, and no other institution, which created science. Firstly we need to see that the Roman Empire was not an empire which believed in progress per se, and moreover it was Christianity which breathed new life into it, transformed it, and established an idea of true progress. Secondly we need to see that the cause of the fall of the Roman Empire is moral and economic, not purely military. It is often alleged that Rome only fell because of Christianity and that had the Empire remained pagan it would have survived for many years. This is however silly and doesn't take into account the wealth of historical evidence that the Empire was crumbling a hundred years before Constantine even came on the scene. The thesis is pedaled by many 19th century historians, including Sir Edward Gibbon, whose work on the decline of the Empire is now included in Classics programs (even at certain Catholic universities) even though its information is little better than mythological. He ascribes to Christianity weakness which caused the Empire to crumble inwardly and militarily. This however contradicted by several things: Many of the martyrs of the 2nd century were Christians serving in the Roman Legions. This is because they saw Christianity as a strong virtuous religion, and it strengthened their skills as soldiers. St. Theodore of Amaseia prior to being martyred, was asked to change his mind because he was described as a model soldier. So too were St. Maurice and his Christian legions, as was St. Sebastian and the legionaries who were forced to built the baths of Diocletian. The moral weakness of pagan civilization was demonstrated by the late 3rd century, while Christianity was still illegal, and while the emperors were putting to death some of their much needed soldiers for being Christian. Even in the "golden era" shortly after Augustus, the reign of Nero is described in the most disgusting and culturally vapid terms by contemporaries such as Patronius and Martial. Diocletian (285-305) instituted some reforms which staved off the Empire's death for a little longer by reorganizing the Imperial administration, but, the difficulty was in the economy. There was no more local production, all the grain was coming from Carthage and Egypt, and there was not enough production to sustain the economy. The currency began disappearing, so the emperors began a policy of diluting the purity of gold in the money which caused a massive inflation in currency values, and ultimately its disappearance. They also increased taxes, which caused money to go out of circulation. Life became difficult, and the low birth rates of Romans forced them to bring in foreign fighters to patrol their frontiers (Foederati). One could almost say, they wanted Germans to do jobs that Romans would not do. After Constantine Rome had to deal with barbarian invasions every generation, as well as internal economic decay due to corruption, and a hyper-dependence on slaves which inhibited the potential of civilization to grow. These conditions pre-dated Christianity's rise as the state religion, and persisted after it. In the end, the Roman Empire was moribund anyhow. The world changed, and both Rome and Constantinople were unable to keep up because of their frankly backwards outlook. Great empires often fall into this, looking back to a period of glory without respect to the world political and cultural conditions which allowed that golden age. Here we come to one of the key points of the Roman delusion. It is often alleged in textbooks (though completely disproved by creditable historians, even those hostile to the Church and the middle ages as we'll see next time) that medieval life was completely backward, with no advancement, a thousand years of darkness, until the Renaissance when people began looking back at ancient art and technology and rediscovering the pagan genius. Another popular myth which finally disappeared in the middle of the 20th century, was that when Constantinople fell all the refugee Greeks came to the west with all of the knowledge and learning that was kept in Constantinople, and the West finally got a breath of ancient air. As to the latter, we know that Greek manuscripts and learning returned to the West as early as the 10th century, and by Arab agency, not Byzantine. Moreover the Renaissance was a continuation of what had already been occurring for hundreds of years, and was occurring elsewhere. What was unique to Italy was humanism, which will be taken up in a different installment. Our task at hand is to look at ancient technology and see if it was in fact the brilliance the Enlightenment claims for it. Of course, we can't (and should have no desire to) detract from the true achievements of ancient civilization, as there are many magnificent testimonies to ancient brilliance on many fronts. The goal is to show that Medievals had their own creative genius which propelled themselves forward, with and without ancient technology. First off, economics is not a bad field to begin in. The Roman Empire, like the Greek city states and Empire as well as virtually all ancient races, subsisted on a slave economy. Slavery was the lifeblood of the wealthy and the government, for they allowed them to undertake massive projects that would have been too expensive otherwise. This is why in the middle ages there were fewer public works projects, men had to be paid (a novel concept to be sure). In the end as we will see, slave economies prevented the Romans and Greeks from developing new technologies, since they provide no impetus to create machines to make simpler what someone else is already doing at little cost to you. Furthermore, the command economy of the Roman Empire masked its material poverty, a poverty almost unknown by the 12th century. If one was not a slave being whipped on a massive estate (Latifundia) you were an impoverished freeman who lived little better than a slave. The greatest testament to Greco-Roman civilization is water technology. Not water power, that is rather a testimony to Medieval genius, but in conducting water from one place to another, Greeks and Romans made use of a phenomenal mathematical precision. Roman Aqueducts even discovered how to push water uphill by means of a pressurized pipe, and were built with a slight gradient stretching downwards by inches for miles to keep the flow of water moving into cities. A Greek architect working for the Romans in the 2nd century A.D. built the Pantheon, the largest unsupported dome in Europe until the building of Brunelleschi's Cathedral in Florence 1200 years later. The Greek Architect Archimedes stated the principle of buoyancy and postulated the concept of a lever and fulcrum. The Greeks after Alexander also created Astrology and Alchemy, the two false sciences which ultimately led in the Middle Ages to true sciences: Astronomy and Chemistry respectively. For these and numerous other technologies which we will discuss there were certain problems with the ancient outlook which led to failures in ancient technology. For one most ancients (particularly the Greeks) did not do "science" as a discipline, they engaged in speculative or theoretical science. Practical science only came into play when governments spent big money to embark on solutions to problems, or one innovative mind approached a problem and threw several thousand slaves at it. This is illustrated perfectly by Aristotle, who taught that if you drop a larger rock and then a smaller one, the larger one will hit the ground first. All he had to do was go up to the Parthenon and try it out to see this was not the case. The Romans however commit the opposite mistake, they preferred doing to knowing and as a result, where they were not wholly ignorant of the Greek tradition in scientific thought, they did not translate any of it into Latin which is the principle reason the Greek classics were lost to the West: Roman shortsightedness. There are two inventions which medievals took for granted but the Romans either completely overlooked or never bothered to develop. The first water power. The Romans knew of the device but harnessing it both redundant given the slave economy, and a threat to it. A technology that could have revolutionized Roman society and freed countless men from an existence turning a mill physically, (among other things) was neglected until the Middle Ages. This particular objection is rooted in complete ignorance of facts. Roman trade was rarely carried out on land, because travel was extremely arduous. Not only could the Romans not harness horses correctly, they did not know how to design carts to handle the stress of long term travel, or to make the turns necessary on the roads. The only wagon trade carried out was in Italy, anything else was too cost prohibitive. Almost all designs for Roman wagons are done by classicists and reflect no ancient blueprints. Images from antiquity show a basic wagon with four wheels, in a period when technological art was normally pretty detailed, revealing that wagons were not built to withstand the stress of roads. Rather, Roman trade was carried out by sea. Moreover, the preference for straight over level in roads reflects that they were for military use. If they were primarily meant for commerce and travel, they would have been level, but instead they have many steep gradients and go in straight directions. Men would need to march on them, and the directions they go in indicate that. The military needed to be able to use them to move quickly to halt uprisings or exact tribute. The medievals neglected the roads because the roads no longer went where men wanted to go. They had to make their own roads, and often did.